Game composer and music producer Ryuichi Nitta scored the first three titles in the Ninja Gaiden series back in the late 80s. The self-taught musician overcame the limitations of the NES and Arcade to create some of the richest, catchiest tunes of the 8-bit era. The artist has enjoyed a varied career since, contributing music to various sports, role-playing, and platform titles, between contributions to the beatmania and Castlevania franchise. 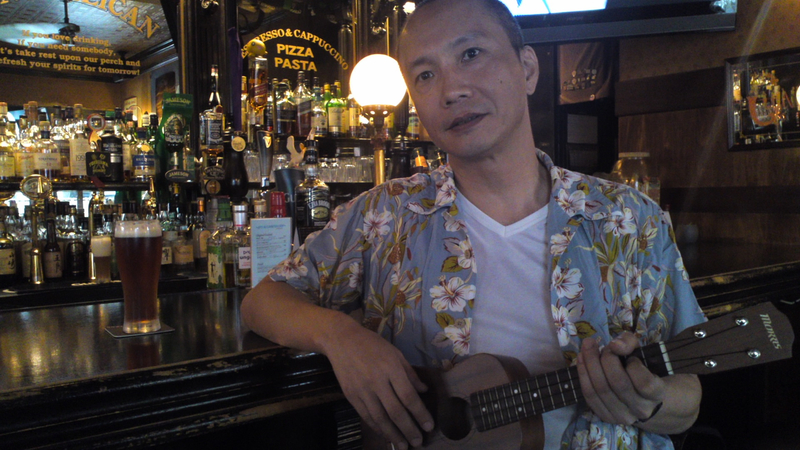 In this interview, Nitta gives a rich insight into his background and works. He places particular focus on the Ninja Gaiden series, including the musical and technical challenges of creating these scores, his experiences working with other composers and directors, and his thoughts on the album releases for the series. 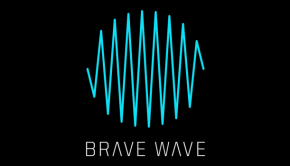 He concludes by talking about his latest works through his company Kajiya Music and the label Brave Wave. Chris: Ryuichi Nitta, many thanks for talking to us today. First of all, could you tell us about your musical background? Ryuichi Nitta: My parents bought me a folk guitar to celebrate my acceptance into junior high school. I suppose that could be considered my foray into music. In my second or third year of junior high, my friends and I formed a folk group, and began making original music. Of course, looking back and it now, the music wasn’t anything good, but they are fond memories for me. I moved onto high school, and formed a music club. This is when I began doing my own concerts, which led to a widening of my music social circle, in turn inspiring me forming a band. I was the bassist of the group, and we did songs for genres that were popular at the time, such as techno, new wave and punk rock. I wasn’t making much, if any music at this time, and simply being a bassist wasn’t the most interesting thing in the world, so I learned how to make sounds using a synthesizer, and inputting data using rhythm machines and sequencers. I subsequently took charge of these aspects. If I hadn’t made this transition, I probably wouldn’t be a musician today. Afterwards, I went into a technical college for recording engineers, and studied topics related to sound and noise. I began making music again, and while working with the band I had formed previously, I also formed a performance unit to perform our own music. The unit ended up doing at-home recordings more so than it did perform live shows. Chris: Were any artists particularly influential to you? Ryuichi Nitta: As you can see from my background, I didn’t formally study music in school, so it’s quite difficult to say who exactly has inspired me. I suppose I could say that popular Japanese music by various artists that I’ve transcribed since I was a kid could have served as my inspiration. Even then, even nowadays, when I have time, I listen to music on the internet and TV, and “copy” it if I like it. So I can say I’ve had influences from multiple sources. Chris: It would be interesting to hear about what led you into video games. Can you tell us more about your background as a video game sound creator? Ryuichi Nitta: After graduating from the technical college, I joined a video production company that shoots and edits video content, where I ended up working on the BGM aspect of things. After I left the video production company, I joined Tecmo, where I began working on sound for NES and arcade games. I joined Banpresto afterwards, where I did music for the SNES and PlayStation. After that, I became a freelancer, which allowed me to experience things you normally cannot by being a company employee, and all since every experience I went through was new to me, I found it quite exciting. In 2000, I then formed a company called “Kajiya Music” with my old Tecmo colleagues, Keiji Yamagishi and Kaori Nakabai. When I began making background music at the video production company, the Famicom had just begun to take off. There was also a lot of interest at the time in game music production, and I felt that there were many great songs coming out. I was interested in exploring game music more, and when I saw a job ad by Tecmo for such a job, I called them without hesitating. During the interview, I brought demo songs even though they had not asked for them. I think there were around three interviews total, but I never even had the chance to show them the tracks. Chris: You’re most famous for the soundtracks for the Ninja Gaiden series. Could you outline your contributions to the NES trilogy and the arcade game? How were responsibilities shared between you and fellow composers at the sound team? Ryuichi Nitta: I think the NES version of Ninja Gaiden was the first game I worked on after joining Tecmo. I remember Keiji Yamagishi (my sempai, or mentor/co-worker of greater seniority than myself) asking me to write a few songs for it back in the day. It was my first time composing music, so I was very worried to the point where I made two songs and asked them to pick the better one. It turns out that they loved what I made and incorporated even the test songs into the game. I was very happy about that. I would send the MIDI over to Yamagishi-sempai, who would then create an NES arrangement of the song. He was such a big help. Thank you, Yama-san! My pen name during this time was B.B. For the Arcade version, Metal Yuuki-san (editor’s note: Mikio Saito) was the director, and since I was still new at the company, I was sort of his assistant. I remember the original plan had me doing the music for the sequences that would take place between the stages. However, Metal Yuuki-san’s first assistant, who was in charge of the stage tracks, left the company so I was put in charge of the stages as well. Despite being an assistant, I actually felt I had hindered the team, and even now, I feel very apologetic for that! Ryuichi Nitta: Yes, for Ninja Gaiden 2, I was placed into the role of Sound Director. I asked for Keiji Yamagishi’s assistance in creating a sound driver, which interestingly meant that our roles were reversed from the development setup of the first Ninja Gaiden. In the first instance, I made the opening and ending themes the way I liked. However the director, Runmal-san (editor’s note: Masato Kato, who went on to direct Chrono Cross), rejected the opening themes I made several times. This is actually a fond memory for me. After all, I was able to then make something that everyone liked. Thank you, Runmal-san. My pen name at this time was S. Kajiya. Chris: We’re fascinating to hear more about your experiences creating these scores. What were your major influences when creating this Japan-inspired, Western-targeted title? Ryuichi Nitta: I worked on the Arcade and NES versions of Ninja Gaiden shortly after joining Tecmo. I didn’t really have a strong grasp of what I was doing at the time; I just looked at the characters moving in the screen and the backgrounds and composed what I thought would go well with it. This was a time when I felt obsessed with the idea of needing to catch up to Metal Yuuki-san and Yamagishi-san. For Ninja Gaiden II, the game world was already established with the previous title, so I made sure not to deviate from that. In that sense, you could say I was influenced by Yamagishi-san. For this game, I took snare drum samples, overlayed it with noise and applied some accents in three-wave form in order to imitate synth drums. I wasn’t aware that they were targeting the Western market very much while composing this title. The game was released, and it was only after some time had passed we discovered how popular the game was in North America and Europe. 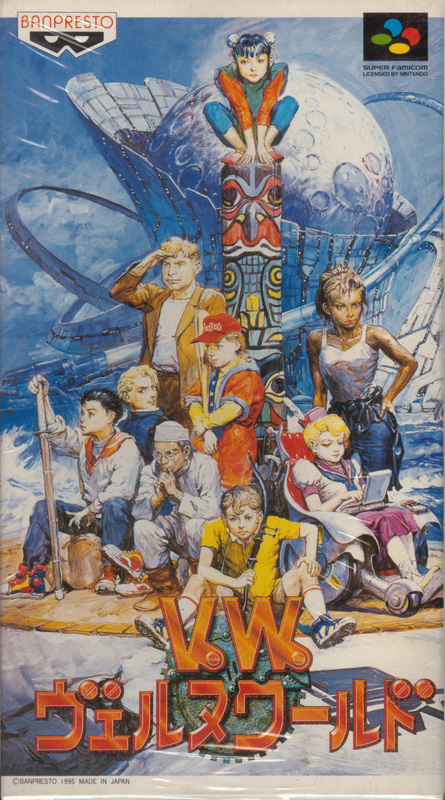 The NES era tended to have a lengthy time lag between the composition stage and the game’s release, so fan feedback usually would be incorporated into the next game. Sakurazaki-san, Runmal-san, Strong Shima-san were a very talented team of directors and producers, so I think following their lead was a safe bet. Chris: How did you realise these inspirations with NES and arcade sound chips? Ryuichi Nitta: At that time, I listened to songs from other games in order to try to output similar sounds myself; I wondered how those games were outputting the sounds that they had. Even today, creating sounds using a soundchip is something that I find very appealing. Nowadays, we have various tools that allow us to create music using soundchips and emulators, so we don’t even need to be inside the actual development environment anymore. That’s a wonderful thing to have. However, I think FM (frequency modulation) sound sources are my weak point. Back then, I wasn’t very successful in allocating time to different tasks such as creating source sources, doing composition and arranging, and converting all that into data. I wasn’t able to make even one tenth of the melodies I had running through my head. At Tecmo, I also ended up making the sound driver, so I didn’t even get a chance to think think about other things such as whether or not the data setup I made would end up causing slowdown in the game. I worked on some FM sound sources after this title, which left me ready to handle anything that followed. Chris: You also got to work on some of Tecmo’s other best-loved franchises. Could you also share with us your memories on Solomon’s Key 2: Fire ‘n Ice, Tecmo Super Bowl, and Tecmo World Cup Soccer? 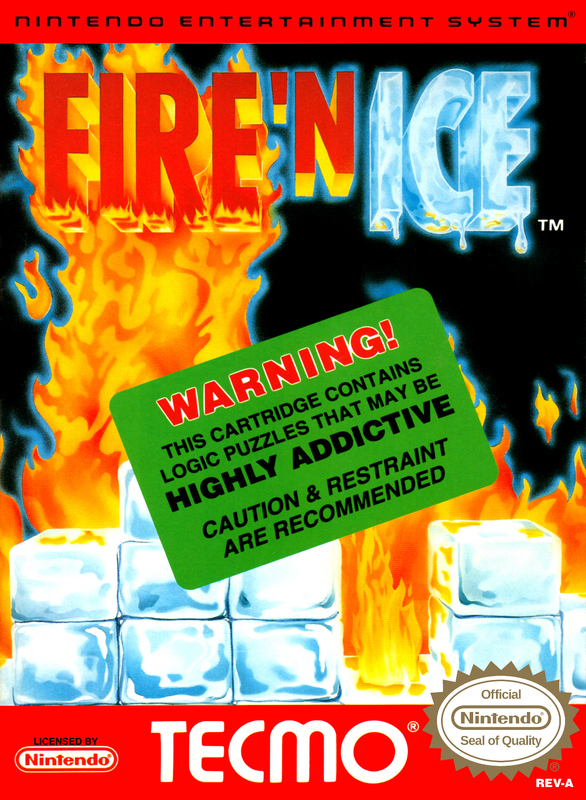 Ryuichi Nitta: I believe Solomon’s Key 2: Fire ‘n Ice would be the final NES game I worked on at Tecmo. Since this was a puzzle game, rather than an action game, the development team allowed me to have a greater amount of audio in the game. Therefore, I was able to do bass sampling and could experiment with three-wave melodies. The feeling of the music is quite pastoral, which I like. As for Tecmo Super Bowl and Tecmo World Cup Soccer, Keiji Yamagishi was the main composer of these titles. I don’t remember too much about it, but I think contributed a song to one of these games. Chris: Your music from the Tecmo years is represented on several album releases. Could you tell us your feelings about Ninja Gaiden ~ G.S.M. Tecmo 1, Ninja Gaiden II’s arranged album, and the recently-released Tecmo Arcade Game Chronicle? Would you be interested in seeing more soundtrack releases for your classic scores in future? Ryuichi Nitta: For Ninja Gaiden ~ G.S.M. Tecmo 1, I created an arranged track that went into that album. 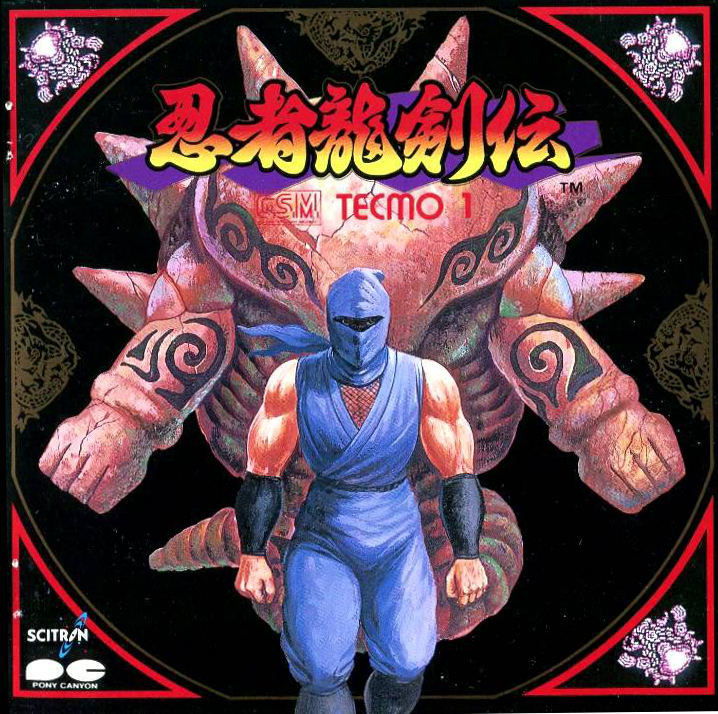 After I left Tecmo, a Super NES version of the game (Ninja Gaiden Trilogy) was released with a rearranged track based on my arranged track from the album. I regret not having been more involved with the title. 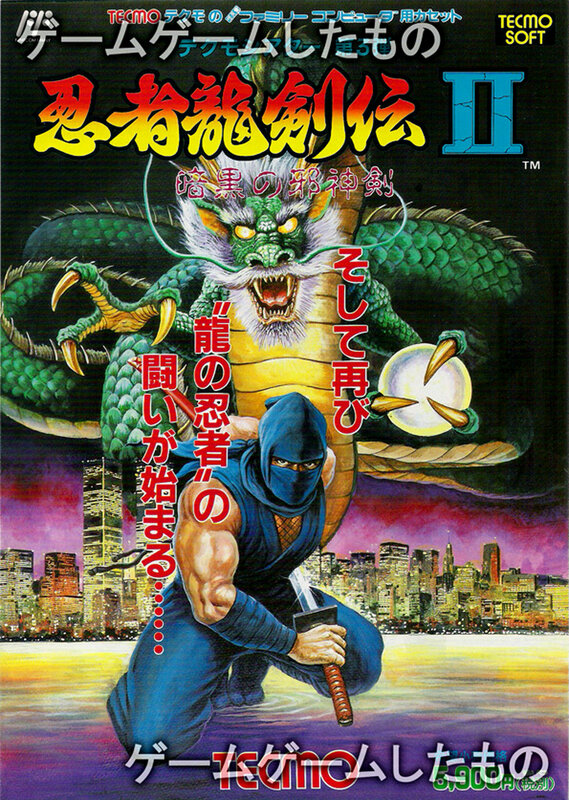 I think Takashi Furukawa worked very hard on the arranged album of Ninja Gaiden II. I didn’t touch a vast majority of the project, instead being restricted to just the mix down process. I remember there being vocals in the song, which I found to be quite fancy and surprising. I believe there was a straight-to-video of the anime series that came out at the same time as well. Regarding Tecmo Arcade Chronicle, as I mentioned earlier, FM sound sources were my Achilles heel, so I remember how working on the projects featured here would make my stomach ache. However, people tend to view my name as legendary for having done this, so I’m glad I went through it. Tecmo Arcade Chronicle has allowed us to have a source for Tecmo arcade games in all their glory, so I’d love something for their console titles as well. On the note of music releases, social games these days often have their service discontinued relatively quickly if they are not popular, which means that players may not have a second chance to listen to the music in them. I find that quite unfortunate. I’d love a setup where all content can be preserved for the following generations of listeners. Chris: During your time at Banpresto, you were able to make an impact on the RPG genre with Verne World and the licensed game Go Go Ackman! Could you tell us about your memories on these project? Ryuichi Nitta: Go Go Ackman! was the second game I worked on after joining Banpresto. This was a game based on a work by Akira Toriyama, so I was pretty worried. The director of this game also worked at Tecmo, which made it quite an easy project for me. Banpresto teamed up with an external developer for Verne World (editor’s note: Dual), and I ended up handling the sound development. It was our first time working with an external developer, and our first time working on an RPG as well. I remember this being a project that required quite a bit of effort. There were battle scenes in the game, so I figured it would be okay to follow the convention set out by other action games, since battle sequences did resemble action games to an extent. I remember the external developer asking me to compress the audio data as much as possible in order to conserve the game system’s memory space. This was quite a difficult task. By the way, the producer of this game, Ishikawa-san, runs a bar in Kanda, Tokyo called “Sujikai.” You can probably talk to him about this game’s development… as well as delicious regional varieties of sake. Chris: Later in your career, you worked on the original beatmania and its follow-ups. 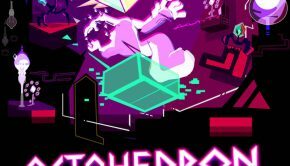 What was it like to be involved in these influential rhythm games? Could you elaborate more on what your role as ‘sound data analyzer’ involved? Ryuichi Nitta: I worked on beatmania when I was a freelancer. Beatmania involves assigning parts of songs to button presses in order to generate the performances, so we needed to remix the songs used in the game, and I learned a lot from listening to individual parts of songs from various composers. Also, this was when I met one of the main members of that game’s development team, [Reo] Nagumo-san, who now works at a company called Yudo. Looking back at the game and what came after, even beyond the development and my job as a composer, I felt that Nagumo-san was quite a logical-thinking producer, and he showed me how a hit game was made from the ground up. I admire him. Chris: In more recent years, you set up the company Kajiya Music together with fellow Tecmo alumni Keijji Yamagishi and Kaori Nakabai. Please tell us about the company and its aims. 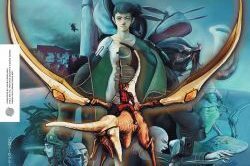 Ryuichi Nitta: When I was working as a freelancer, I was asked to create two console game soundtracks at the same time. I felt that this would require some help to get done. So I contacted Keiji Yamagishi and Kaori Nakabai. I think this was the first step in forming the company. Even before this, several of my clients had suggested I form a company in order to do business and so Kajiya Music was born. At this time, I met Keiji and Kaori once a month in a studio in order to do band-related stuff. This allowed us to let go of our stress. They were very easy to talk to about the idea. I told them that I was receiving projects for drama CDs and other non-game content, which made it impossible to belong to any one manufacturer, which is why I invited them to join. Furthermore, all the manufacturers were growing at this time and becoming larger companies, so I figured there would be good opportunities to stay active in this field. We also wanted to keep improving our abilities, a stance that we continue to hold even today. I’m so grateful that Keiji and Kaori are willing to deal with my selfishness (translator’s note: this is a very humble expression of gratitude commonly seen in Japanese culture). Thank you, Yama-san and Kaorin. 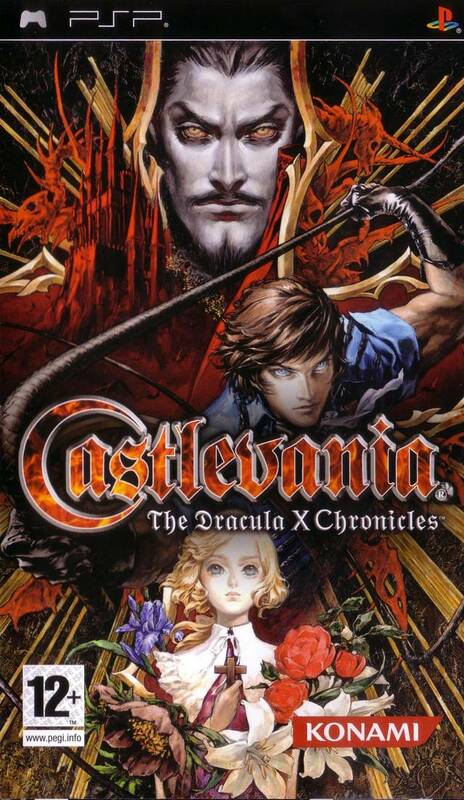 Chris: Among the company’s most prominent credits is Castlevania: Harmony of Despair and The Dracula X Chronicles. Can you tell us about these projects? Ryuichi Nitta: Kajiya Music ended up doing the sound effects for these games a few years after the company was founded. Castlevania was a game that was already popular through its previous iterations, so we were careful to respect the game world. We also used sound assets from previous versions, but we strived to make it sound as fresh as the game’s visuals were. Chris: Could you tell us more about its arms in ringtone production (Decica Style) and minigame design (Game Corner)? Ryuichi Nitta: Decica Style, which is produced by Keiji Yamagishi, began as a downloadable ringtone service for feature phones. It is now available for smartphones, as well. This service is different from games because it allows us to send our company’s sound to users directly. We create tones and then release them immediately. The feature phone service is available only in Japan, although our smart phone ringtones can be purchased from overseas. For fans of Keiji Yamagishi in particular, I recommend Decica Style and Retro-Active Pt. 1, which was released by Brave Wave Productions. Aside from that, we released the Android apps, Tech Tom and Tech Tom Free, as part of our sound research. The app imitates synthesizer drums, which were popular in the 80s. We also released Kawaii!! Metronome in Japan the other day. Chris: It was recently announced that you are joining Brave Wave. What attracted you this label? What can we expect from your contributions to games and original albums? Ryuichi Nitta: I’ve been observing what Keiji Yamagishi has been doing with Brave Wave from the sidelines, and I thought it was honestly very interesting. I couldn’t say no to their offer to join! We haven’t had any concrete discussions as to what we would make together, but perhaps a return to form in the form of the folk guitar while I sing. (I’m joking!) I think just making new music without overthinking it would be ideal. Posted on August 9, 2015 by Chris Greening. Last modified on August 17, 2015.